Tony Ranta (pictured left) of Finland and Dutch Lisanne Breeschoten (right) captured the men's and women's titles and the 4.000 Euro top prize in the 6th EBT Masters 2013, which was held in conjunction with the BNC Open Monday, Sept. 30, at BNC Bowling Center in Bratislava, Slovakia. Both players led the 12-game qualifying portion en route to earn the No. 1 seed for the three-player stepladder finals. In the men's semifinals, defending champion Martin Larsen (left) of Sweden topped England's Stuart Williams (right), 192-179, to have a shot at his second consecutive EBT Masters title. 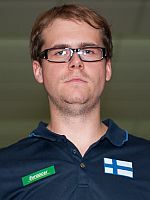 Ranta, who won the gold medal in the five-player team event with the Finnish men's team at the 2013 World Championships, flew past Larsen in the championship match to wrap up the title, 253-179. 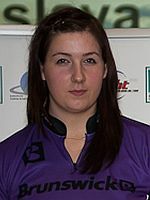 On the women's side, third-seeded Ida Andersson (below left) of Sweden eliminated Birgit Pöppler (below right) of Germany in the opening match, 256-198, to bowl Breeschoten for the title. 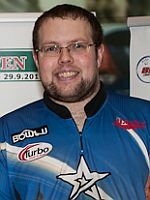 In a close but low-scoring encounter, the top-seeded Dutch national team member prevailed by two pins, 178-176, to claim the title. 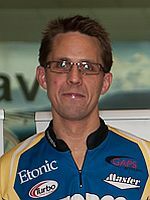 The 6th EBT Masters was the season-ending event of the 2012 European Bowling Tour. The top 50 men and the top 50 women in each event earn ranking points based on how they finish in the event. 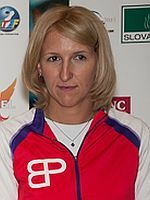 Those points will be tabulated throughout the season to determine the top 12 men and top 12 women who qualified for the EBT Masters. All players bowled 12 games with the top 3 advancing to the stepladder finals.